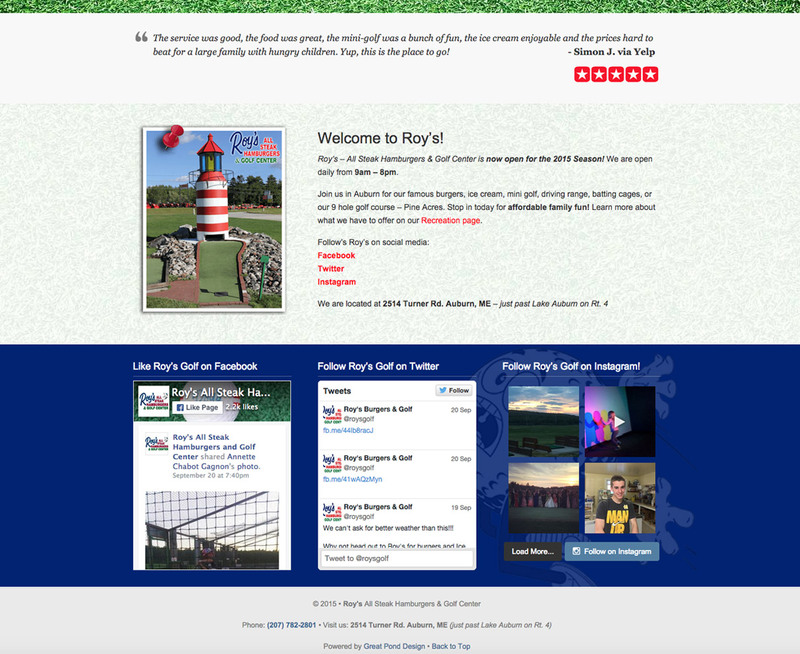 We had been getting a lot of formal projects (law firms, dental offices, etc) around the time that Roy’s Golf contacted us about rebuilding their website. It was a nice change of pace to do something loud with bright colors. 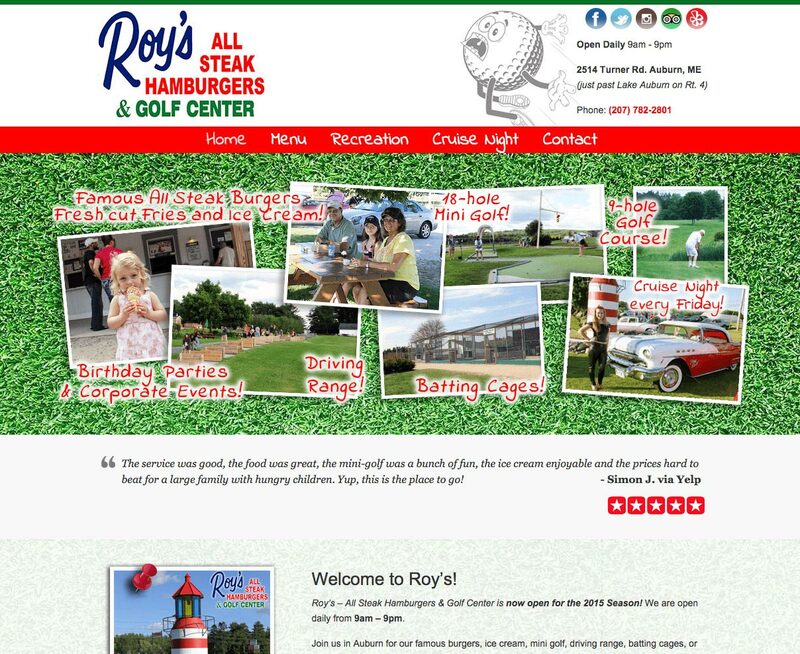 I knew from their TV commercials that they offered all the fun stuff you would expect from a mini golf place – batting cages, ice cream, burgers – so that was kept in the back of my mind when putting things together. We incorporated all of their social media widgets (Facebook, Twitter and an Instagram feed) and a button to highlight their glowing reviews on Yelp. I did raise an eyebrow when the owners asked us to create their golf-ball-guy-mascot flying across the screen, but it was actually really easy to put together with the Revolution Slider and (fortunately) doesn’t suffer from the dated/90’s syndrome that most animation does in current time! Overall, a fun little project for a well known Maine landmark.